At approximately 10:30 p.m. on April 18th, 2013, MIT Officer Collier was shot while sitting in his patrol car on the MIT campus. He was sitting in his cruiser between buildings 32 and 76 of the MIT campus, possibly in the north court area near Vassar and Main. Police radio described the suspect as a hispanic male, wearing a North Face jacket who may or may not have been wearing a cowboy hat. One officer over the radio stated that the suspect(s) probably had blood on them from the close-range shooting and to be on the lookout. There were a few officials I am aware of being at the MIT crime scene: Lt. Col. Timothy Alben (who headed up the crime scene according to Commissioner Davis via congressional hearings), MBTA Officers Richard Donohue and his partner, Luke Kitto, and State Trooper Christopher J. Dumont. Let’s start with Trooper Dumont from the Bristol County District Attorney’s Office. Massachusetts Trooper Christopher Dumont was working the presidential security detail for Obama that night at the airport when he heard about the MIT shooting. He drove the eleven minute drive (for us civilian drivers) from Logan Airport to MIT campus and, according to Dumont, when he arrived at the MIT shooting scene there were no descriptions for any suspects. It was only later someone told him surveillance tapes had recorded two men taking out Officer Collier. Hmm. I’m pretty sure authorities called out a suspect description over the radio and, they did it before looking at the surveillance tapes. Pretty, pretty, pretty sure. At 12:30 a.m. Dumont heard the “Danny” carjacking report so he left in his unmarked car and headed towards Watertown. By 12:42 a.m., he got a report that Danny’s Mercedes was located around Dexter Ave. 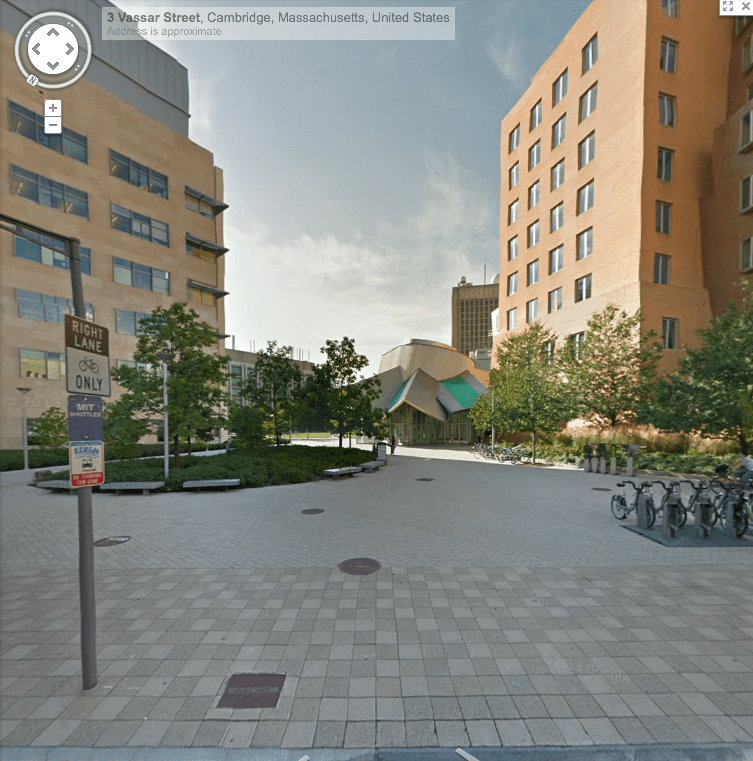 Officer Donohue was reported to have been one of the first officers that arrived at the MIT scene. That would have put him there sometime between 10:30 and 10:45 p.m., eh? Do I know if he arrived with his partner, Luke Kitto? No idea. According to Officer Donohue, there are videotapes of him being on scene although due to injuries he received later in the evening, he doesn’t recall any of this. But no worries. We’ll piece it together. So Chive.com ran a story on Donohue and wrote that almost as soon as Donohue arrived at MIT, he heard the carjacking report go out on the radio and that the carjackers were shooting at the police. 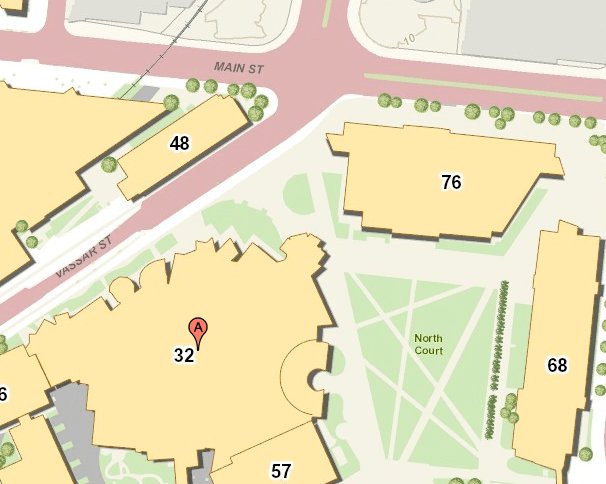 However, if Donohue was one of the first to arrive at MIT how would a call for carjackers have gone out almost simultaneously if the shootout didn’t start until approximately 12:45 – 12:50 a.m.? Sloppy reporting? Donohue and his partner, like Trooper Dumont, took off from the MIT campus and headed towards Watertown. Both Donohue and Dumont claim they left MIT with no knowledge that the carjacking had anything to do with the MIT shooting nor the Boston bombings. No worries. They’ll pin the MIT murder on the Tsarnaev brothers within a few hours (did ballistics ever actually prove the bullets from Tamerlan’s gun killed Collier?). As a side note, while Danny was in the car with his kidnappers, the alleged Tsarnaev brothers, he claimed in later interviews that Tamerlan told him they were the Boston bombers and they had just killed MIT Officer Collier. Because, really, anytime is a good time for a random confession to a random kidnapping victim. Am I right? So when Danny finally ran for help in his wet drawers and the authorities showed up, do you think Danny told the police who the carjackers said they were? Do you think Danny mentioned they said they were the bombers? The MIT killers? Nah. Probably not. I mean, while balled up in the corner of a gas station, twitching and crying from the scariest ordeal one has ever been put through, who’d do that? During an emergency you keep that sh*t to yourself because it’s only going to help you and help catch the people who did this to you. Obviously if Danny had mentioned these juicy little bits of information, you’d think all the officers that found themselves in Watertown that night would know that these carjackers had killed one of their own at MIT, right? Yep. That’s right. Cop killers. But as of today, not one officer has come forward to say they knew in advance that the carjacking was related to the MIT murder. What are the odds Danny kept his mouth shut vs. some sort of higher-ups didn’t want the cops to know? And the question would be, why? 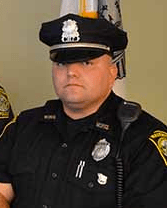 Prior to Trooper Dumont and Officers Donohue and Kitto’s arrival in Watertown, Watertown police had battled Tamerlan and Jahar Tsarnaev for at least a few minutes. How did that all go down? Let’s review using all the first hand accounts we can find and try to fill in the blanks with media reports. Lawrence O’Donnell interviewed the Watertown police who gave their version of the events that night. So we’ve had all this pinging and GPS’ing going on but it didn’t deter Officer Reynolds from stumbling upon the stolen Mercedes all by his lonesome because, well, that makes perfect sense. I mean, what kind of police department would make a plan on how to safely apprehend these guys – especially since they had the luck of a pinged iPhone? Nah. Screw the plan. Send the one guy in. Thanks in advance. According to the Lawrence O’Donnell interview, Officer Reynolds saw the Mercedes behind the Honda Civic (Tamerlan and Jahar’s car) and radioed it in. His commanders told Reynolds not to turn on his lights and not to pull them over. He followed orders. But not according to this video interview of Sergeant MacClellan. In this video, MacClellan stated Officer Reynolds, “attempted to pull the Mercedes over.” Remember folks, this isn’t hearsay, this is coming straight from the Sergeant’s mouth. Moving on, Officer Reynolds said that Tamerlan jumped out of the Mercedes and started shooting at him. 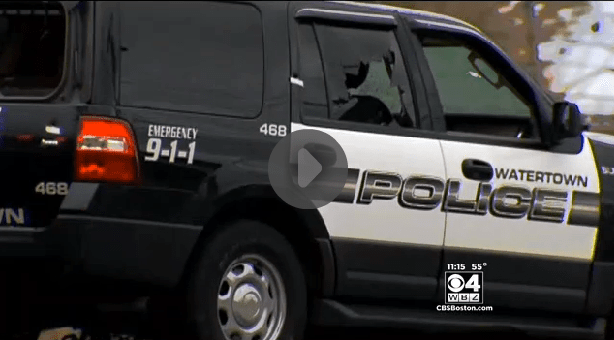 As Reynolds put his cruiser in reverse to put a safe distance between he and Tamerlan, Sgt. MacLellan came around the corner. MacLellan admitted he missed the first 5-10 seconds of gunshots but heard Officer Reynolds say “shots fired” over the radio. However, early on in a WEEI radio interview, MacLellan stated that he came around the corner and saw Reynolds’ cruiser in reverse but then later in the same interview he stated that Reynolds was shooting outside his car when he came around the corner. 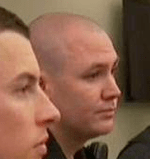 In Gellerman’s interview, MacLellan stated that he saw Reynold’s rear lights and saw a car in front of him. When MacLellan told Officer Reynolds to “hit the lights,” MacLellan miraculously recounted a never before heard story about how he watched the Mercedes take a left hand turn onto Laurel and watched Tamerlan get out of the Mercedes SUV. He heard “pop, pop, pop” and then, and only then, did he see Reynolds’ cruiser pass him in reverse. Man, MacLellan, pull it together. Your story is a hot mess. Colon’s story? Well, you know, he made it to the scene and when he got there he saw Officer Reynolds behind his cruiser and Sergeant MacLellan behind his cruiser. Wait. That’s crazy math. Didn’t MacLellan tell every news source out there that when he got there, he got shot at, he tried to get his rifle, and then he rolled his cruiser down the street as a decoy before anyone else got there besides Officer Reynolds? Yeah. He sure did. So then what happened? Well, boys and girls, then Colon saw a fuse a.k.a. a bomb diffuse in the middle of the road. Speaking of the bombs, during Gellerman’s interview with MacLellan, the Watertown sergeant said he rolled his cruiser down the street, took cover by a tree and that’s when bomb #1 went off. He then stated that Officer Reynolds suggested they take better cover and that’s when bomb #2 went off. No mention whatsoever about Officer Colon being on the scene, let alone him parking his car between MacLellan and Reynolds’ vehicles. And what’s with the bomb Colon heard? Was that bomb #1, bomb #2 or bomb #3? Eh. Details. At one point during his story, MacLellan mentioned that the Tsarnaevs threw an explosive at his SUV as it was rolled down the street. Bomb #2? Bomb #3? So when does Officer Colon come into play? Sergeant MacLellan claimed in the Gellerman interview that Officer Colon showed up about three and a half minutes into the gunfight – and after he rolled his cruiser down the street. Maybe it’s just me but if it’s easy enough for me to keep track of five different versions of one story the media has dished out, how hard is it for one officer to tell one story, his story, with only one version? I’d sure love to see MacLellan’s police report from that night. I’m so glad you’re covering the cop’s stories. Really wonderful writing and research. Thanks! I really don’t know the cops’ stories – I mean, I knew what the media told us but I didn’t realize there were so many discrepancies before. I’m hoping that your analysis, etc., and others will be needed one day when there is a chance for a new, fair trial.